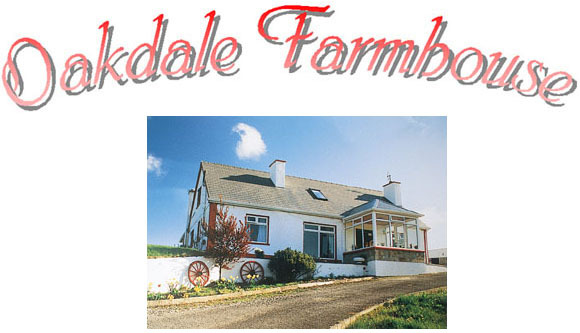 Oakdale B&B, Derries, Donegal Rd., Glenties, Co. Donegal. Oakdale Farmhouse, Derries, Donegal Road, Glenties, Co. Donegal, Ireland. Where you can enjoy traditional Irish hospitality, en-suite and standard bedrooms available.